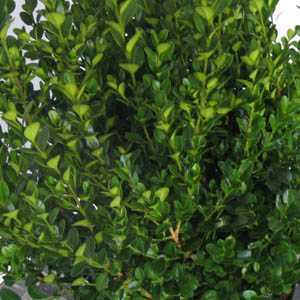 Buxus sempervirens (Box Hedging) is similar to Common Box with the same attributes but even denser habit with larger (1-2cm) very shiny green leaves. Excellent selection of Box which is very frost resistant. Ideal for training for topiary or hedging.